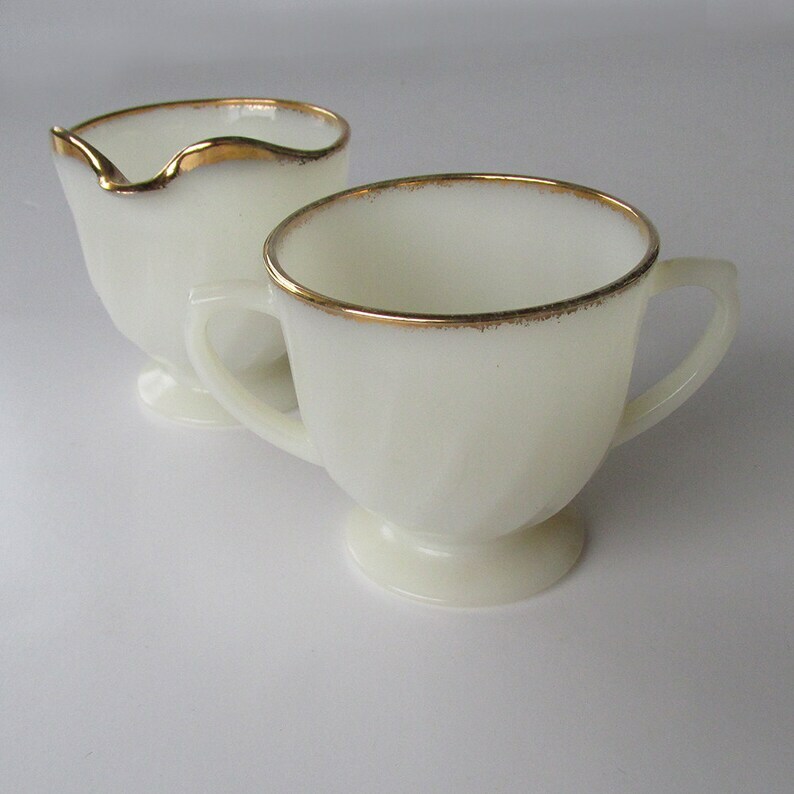 For sale is a circa 1950s-60s Fire King cream and sugar (pitcher/bowl) set featuring white milk glass with swirl pattern and gold leaf rims (Golden Swirl or Golden Shell pattern). These pieces are marked on the bottoms with "OVEN Fire-King WARE" and "MADE IN USA." The creamer stands 3.5" tall while the sugar bowl stands 3.25" tall. No lid for sugar bowl. Two (2) pieces included in this set. These pieces are in very good, used, vintage condition and look like they have seen only limited use. They have a shiny finish, are free of cracks/chips, stains and the gold leafing is in good shape with only minimal signs of wear. Flat shipping rate of $9.95 for USPS Priority Mail (1-3 business days) anywhere in the USA and its territories including APOs.